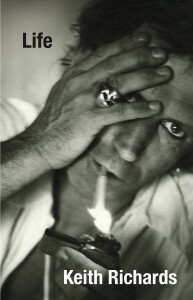 I recently finished reading the Keith Richards biography, Life, which I largely enjoyed. It’s not a great book, huge gaps, not particularly well organized or written, and it suffers from a classic case of the unreliable narrator (this is Keith Richards, after all), but entertaining nonetheless. For me, born in 1961, the youngest of seven, those great Rolling Stones albums are woven into my earliest memories. My brothers had the original, gate-fold 3D cover of Satanic Majesty’s Last Request, the actual zipper cover for Sticky Fingers, and so on. I shared a bedroom wall with my brother, Neal, twelve years my senior, and I can vividly recall his two favorites seeping into my sleep: Dylan and the Stones, endlessly. I grew up listening to Keith and all these years later still find new things to appreciate. The best outcome from reading Life was that it inspired me to pull out the old disks, and in particular, search out the rare songs when Keith sang lead. There aren’t that many, and I missed some of them, because I skipped much of their post-1983 output. But in doing so, bypassed some gems. These past weeks I’m obsessed with Keith as a lead singer, on minor songs like “This Place Is Empty,” “The Worst,” “Slipping Away,” and “How Can I Stop,” not to mention classics like “Happy,” “Little T&A,” “Before They Make Me Run,” and my personal favorite, “You Got the Silver.” Despite its limitations, I respond to a quality in his voice, the looseness of his delivery, the bittersweet delicacy, the soul, the undeniable fact that it’s Keith in all his low-slung glory, guitar practically at his knees. It’s so uncommercial, such an American Idol fail. Say what you want about the man, the drugs and the stupidity, but he’s always been the genuine article, committed to the music. As much as it’s possible to say about any one man, you can say it about Keith Richards: He is rock and roll. Seriously, who else in the history of rock embodies the authentic spirit more than Keith? Nobody, that’s who. This is from around the time I began to lose interest in the Rolling Stones. Or more accurately, stopped expecting greatness from their new albums. Bands like the Clash and the Talking Heads, to name just two, sounded much more vital. The Stones’ time had passed, the incredible run from Beggars Banquet, Let It Bleed, Sticky Fingers, to Exile on Main St, 1968-72, as good a run as any band ever had. However . . . there are gems on every disk. “All About You,” the album’s melancholy closing track, is certainly one of them. On the recording, that’s Bobby Keys on saxophone, Charlie Watts on drums. Reportedly Keith played everything else himself, bass, guitar, piano. Lyric: “Well I said from the first/ I am the worst kind of guy/ for you to be around.” There’s a beautiful fiddle part by Frankie Gavin on the original recording. Another slow ballad from Keith in heartfelt mode, this one off the “Steel Wheels” disc. I prefer the relaxed, natural version from the Stripped CD. Great line: “You don’t have to mean it/ You just got to say it to me, baby.” A reggae-inflected tune with a rock-steady shuffle, surely reflecting Keith’s years hanging out in Jamaica, jamming with the local talent. Again, as we often find when Keith sings, this was largely a Richards composition. The lyrics, the vibe: pure Keef. This great song comes from Keith’s 1988 solo album, Talk Is Cheap, which many reviewers correctly called the best Rolling Stones album in years. Love Keith’s outro here, the short chord slashes, signature and beautiful. A rare treat, dug out from the vaults and polished a bit, to benefit the Hurricane Katrina relief effort. From the Bridges disk, remarkable as a CD because it includes (over Mick’s initial protests) three tunes sung by Keith. He wrote with such affection about this song in Life, I had to search it out. Toward the end, the tune morphs into pure jazz, with Charlie Watts providing drum flourishes in conversation with saxophone runs by legend Wayne Shorter. You can hear the band improvising, not quite willing to let the song end. An unusual moment in the Stones discography, nice to hear them stretch in a different direction, with no interest whatsoever in making arena rock. This tune closes the disk. This song represents the first time Keith had solo vocal chores (though he previously shared lead with Mick on a couple of other tracks, “Salt of the Earth,” “Something Happened to Me Yesterday,” and “Connection”). Checking my iPod, this is the Stones song I’ve listened to the most over the past five years. It just kills me, I can’t explain it, beyond the pure authenticity I feel in Keith’s delivery: “Hey babe, you got my soul/ You the silver, you got the gold.” The guitar playing, of course, is understated and perfect. Nice accompaniment from Ronnie Wood in this live version, almost 40 years later. If Keith has a theme song, this might be it. Off Some Girls in 1978, the last, hands-down great Rolling Stones disk. The Stones effortlessly absorbed the punk attitude — perhaps because they helped invent it — and you can hear it in songs like “Shattered” and “When the Whip Comes Down.” As usual, it seems that Keith gets the vocal nod when the lyrics speak directly to his life, or closely reflect his experiences; that is, lyrics that just don’t fit Mick. Impressively, these punk-inspired songs sit comfortably beside disco (“Miss You”), country (“Far Away Eyes”), or the roughed-up cover of the Temptations soul classic, “Imagination.” At a time when classic rock bands were widely considered no longer relevant, this disk proved that some dinosaurs still lived. Keith seems to specialize in album-closing tracks, and this one concluded the 40-song retrospective, Forty Licks, which included four new tracks: “Losing My Touch,” “Stealing My Heart,” “Keys to Your Heart,” and “Don’t Stop.” After 1985 or so, the Stones tended to be at their absolute worst when they were shooting for the next big radio hit — all bluster and desperation — and those were never, ever Keith songs. This one wasn’t aimed for the airwaves, just the heart. 14) “Coming Down Again,” Goats Head Soup (1973). A Keith song about the early days of his messy relationship with Anita Pallenberg, who had been living with bandmate Brian Jones: “Slipped my tongue into someone else’s pie,” or so the song goes. That’s the great, great Nicky Hopkins on piano, really an unsung hero from Exile days, and a great musician. It’s notable that Keith uses the Wah-Wah Pedal on this track, because typically he’s not a guitarist who used many effects. Generally for him, it’s about chords and rhythm and riffs, no frivolity, no blistering heroics, no studio trickery, and sound is almost always a function of plugging the right guitar into the right amplifier. Reportedly this song has never been played live on a Stones tour. Keith keeps the lyrics simple and direct, as usual — he’s not a complicated man, really — and gets help here from the founding members of a couple of legendary bands, Joey Spampinato (bass, NRBQ), and Bernie Worrell (clavinet, Parliament-Funkadelic). Pretty sure that’s Patti Scialfa on backing vocals. “Happy” grew out of the chaotic, drug-fueled recording sessions for Exile on Main St., recorded in France at the villa Nellcote. From what I recall from previous reading, Keith just sort of did this one on his own. Mick Jagger wasn’t around at the time, so Keith grabbed producer Jimmy Miller who sat in on drums, sax player Bobby Keys, and laid down the tracks for bass, guitar, and vocals himself. The band tinkered with the tune later, adding musical contributions by Nicky Hopkins, Jim Price, and backing vocals by Mick. Written in 1938 by Hoagy Carmichael and Ned Washington, this standard has been recorded by the Glen Miller Orchestra, Dinah Shore, Frank Sinatra, Willie Nelson, Norah Jones, Paul Anka, Barbara Streisand, and many others. It’s a treat to hear Keith get his crooner on. Brilliant and charming. Exceptionally sweet guitar outro on this one, and a great way to end the mix. Thanks for listening, folks. Hope you found a new treasure or two. “Something Happened to Me Yesterday,” alternates with Mick Jagger; “Connection” (co-lead with Jagger), from Beneath the Buttons. “Memory Motel,” alternates with Jagger, Black and Blue. “Too Rude,” “Sleep Tonight,” Dirty Work. “Can’t Be Seen,” Steel Wheels. “Thru and Thru,” Voodoo Lounge. “Thief in the Night,” Bridges to Babylon. James Preller is a children’s book author of Bystander, Six Innings, the Jigsaw Jones mystery series, and many more books. 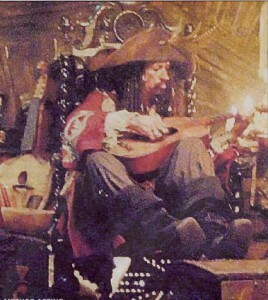 He likes to imagine Keith Richards reading one of books aloud to his grandchildren. So Keith, if you’re reading this — and I’m sure you are — I’d love to send you a signed copy of A Pirate’s Guide to First Grade, illustrated by Greg Ruth. Call me crazy, but I think you’d like it. “Arrr! Shiver me timbers, what a slobberin’ moist mornin’!